Drupalcon is an international event that brings together those who use, develop, design and support the Drupal platform. Drupalcon Munich 2012 will host dozens of sessions and panels from some of the most influential people and brightest minds within the Drupal community and beyond. The conference was always the opportunity for networking, informal coversations and contributions to Drupal. Web is evolving and Drupal evolves too. 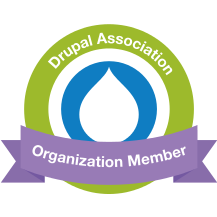 After launching the release 7, the community is working for the next big step: making Drupal a better product in the new world of webservices, mobile and HTML5 standards. The Drupal 8 brings Symfony2 framework in and this will be fully covered by Dries Buytaert and Fabien Potencier (the Symfony project founder) in their keynotes. I have not missed any of the last edition of the European Drupalcon: Szeged, Paris, Copenhagen, London. I'll be in Munich as president and founder of the Drupal Romania Association and as managing partner and developer in Webikon.